This is Part 2 of an original story, written to highlight the different vowels in American English using minimal contrasts. The students will hear a native speaker (me) read the story. You will also need to download Part 1 (the combined presentation was too large for a single upload). 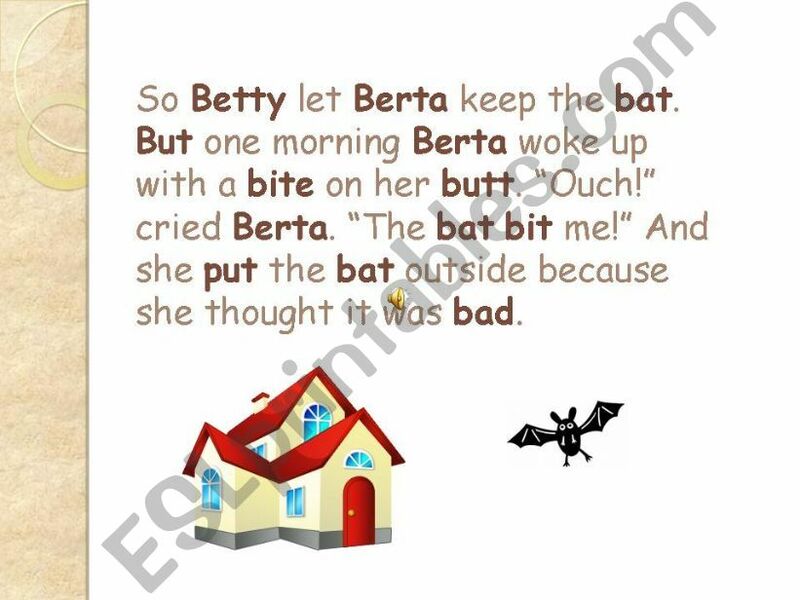 I also recommend that you download the associated printable, also called "Berta and Her Pet Bat," available at http://www.eslprintables.com/printable.asp?id=458427#thetop .